Asus has unveiled two new notebooks, A540 and R558UR. Both laptops feature USB Type-C connectivity, which the company says is a first in their respective segments. The Asus R559UR is an upgraded variant of the R558UF and features a Full HD anti-glare display. It also sports a Nvidia GT930MX graphics cards and an audio system powered by SonicMaster and Bang & Olufsen. The Asus A540 features a glossy brushed finish and weighs less than two kilograms. Like the R55UR, the A540 also sports an audio system powered by SonicMaster and Bang & Olufsen. 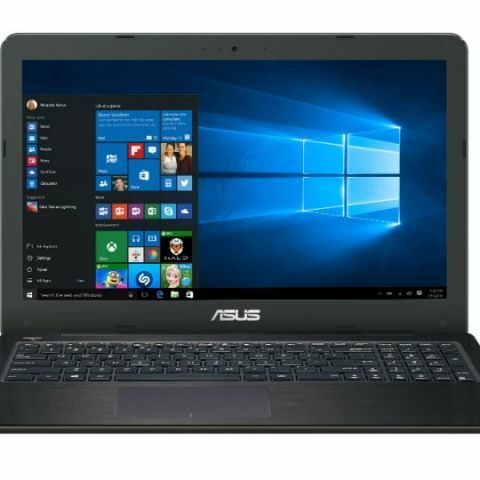 ASUS, today unveiled two new mainstream notebooks, A540 & R558UR, updating its mainstream line up, and adding the latest features and performance updates. The R558UR is a substantially upgraded variant of the R88UF premium notebooks, While the A540 focusses more on the lower spectrum at the same time providing premium looks and lightweight design weighing just less than 2 Kg. Both boast of USB type C connectivity which is a first in their respective segments. The ASUS R558UR is a considerable upgrade from the R558UF featuring a Full HD Antiglare display which has twice the pixel density as compared to a HD Display offered by most of the competition. It also features the latest ultra-fast DDR4 memory which currently is only available in high end gaming machines. The Graphics have also been bumped up, courtesy of the New GT930MX graphics from Nvidia offering upto twice the performance compared with the competitors. R558UR’s Audio system is powered by SonicMaster and Bang & Olufsen ICEpower while the exclusive Splendid technology makes sure that your visual experience remains unadulterated. Moreover, the eyecare mode along with the anti-glare display panel provides unmatched visual comfort. The A540 is contemporarily designed with stylish and elegant Glossy Brushed finish distinguishing itself from the dull designs seen in majority of the notebooks in this segment. The A540 is ultralight, weighing just less than 2 Kg even though it has an internal optical drive. Like R558UR, the A540’s Audio system is also powered by SonicMaster and Bang & Olufsen ICEpower while ASUS Splendid Technology takes care of the task of delivering beautiful visual quality. Will Chrome OS notebooks compete with the iPad? Which would be the best VR Headset for a USB-C based smartphone?